US President Donald Trump has stirred up a global shitstorm, pardon the expression, by reportedly dismissing all African countries and Haiti as “shithole countries.” By PETER FABRICIUS. Donald Trump’s alleged complaint to US legislators of both parties that the US was accepting immigrants from “shithole” countries in Africa and Haiti, rather than Norway for example, has caused global offence. Botswana, probably America’s closest friend on the continent, summoned the US ambassador to Gaborone to express its displeasure at the “highly irresponsible, reprehensible and racist” alleged remark, which legislators leaked to US papers. Several other African governments as well as that of Haiti took similar action. The UN Human Rights Commissioner also condemned the remark. “These are shocking and shameful comments from the President of the United States,” said Rupert Colville, a spokesperson for the Human Rights Commissioner. “I’m sorry, but there’s no other word one can use but racist,” he was quoted by CNN as saying at a press conference in Geneva. ANC deputy secretary general Jessie Duarte told ENCA news that while developing countries did have difficulties, the US also “had millions of people out of work or without healthcare. Patrick Gaspard, the former US ambassador to South Africa – and the son of Haitian immigrants to the US – tweeted: “So apparently he doesn’t need Steve Bannon to curate his racism.” Bannon was Trump’s far-right adviser until he fired him last year. Gaspard tweeted a statement attributed to Haiti’s ambassador to the US Paul Altidor, “vehemently” condemning the remark which he said was based on stereotypes. This charitable invitation to the “wretched” and “homeless” of the earth contrasts strongly with Trump’s proposed new immigration policy, which he was discussing with legislators when he made the alleged “shithole” remark. His proposal is that US rather admit those who already have the means, rather than those who only have the potential. Until then immigrants from northern Europe had been favoured. In 1965 the Hart-Celler Act opened immigration to other countries, Gaspard wrote. Many hours after the first reports of his alleged remarks were published, Trump denied having made them, tweeting that his language at the meeting with legislators had been “tough, but this was not the language used”. Gaspard shot back that “’tough’ is the new euphemism for racist”. US embassies around the world scampered to try to mend bridges with allies. Cindy Harvey, spokesperson for the US embassy in Pretoria, said: “The United States deeply respects the people of Africa and values its partnerships with them. “There has been no change in the United States’ dedication to our partners and friends across the Continent. “We remain committed to working together with Africans to realise the promise of a more peaceful, more productive, more prosperous 21st century Africa. “Our partnership with Africa and our commitment to its continued growth and success is unwavering. 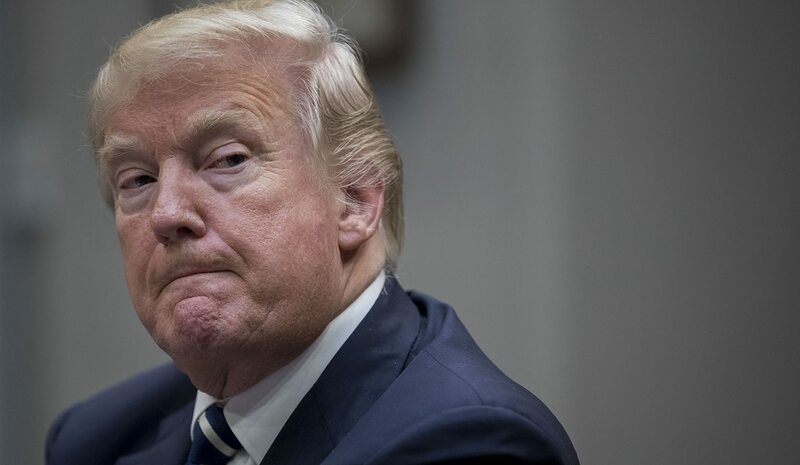 In its statement condemning Trump’s remarks, the Botswana government politely enquired “if Botswana is regarded as a ‘shithole’ country given that there are Botswana nationals residing in the US and also that some Batswana may wish to visit the US.